Jayro created custom logo typography and based on limited project budget, assembled an illustration of existing TTG! assets for the title card of CartoonNetwork.com’s Teen Titans Go! 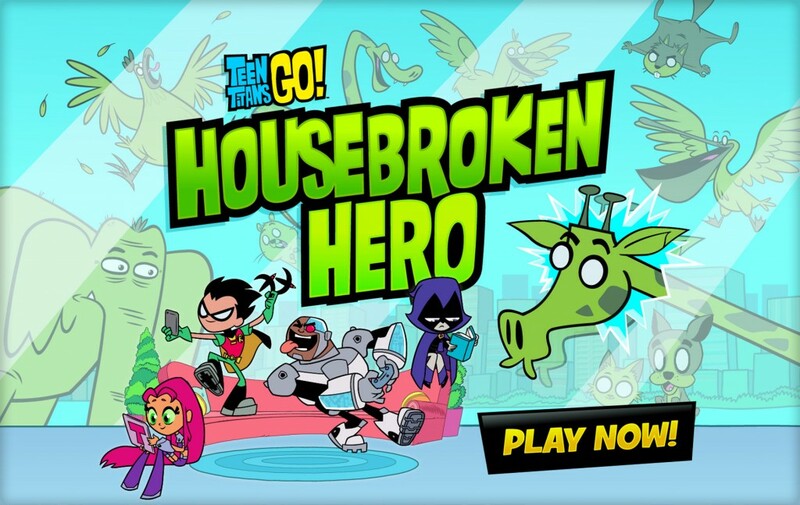 Housebroken Hero online game. The type was hand created and expanded to match the type style of the Teen Titans Go! logo. The title screen appears before gameplay starts.